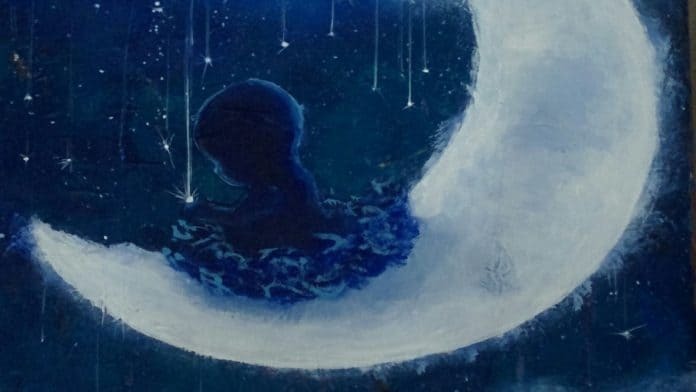 Often called the world’s most beautiful lullaby, Mozart’s Lullaby, is a lovely addition to any parent’s song repertoire. Here are the lyrics for the Mozart Lullaby, also known as Sleep Little One Sleep, or Wiegenlied (“Schlafe mein Prinzchen”). And don’t be fooled by its name: Mozart’s Lullaby was not even written by Mozart at all! down through the window give light. sleep little one go to sleep. Sleep, little one, go to sleep. Rest on thy pillow thy head. The world is silent and still. And creeps past thy windowsill. Sleep, little one, to to sleep. 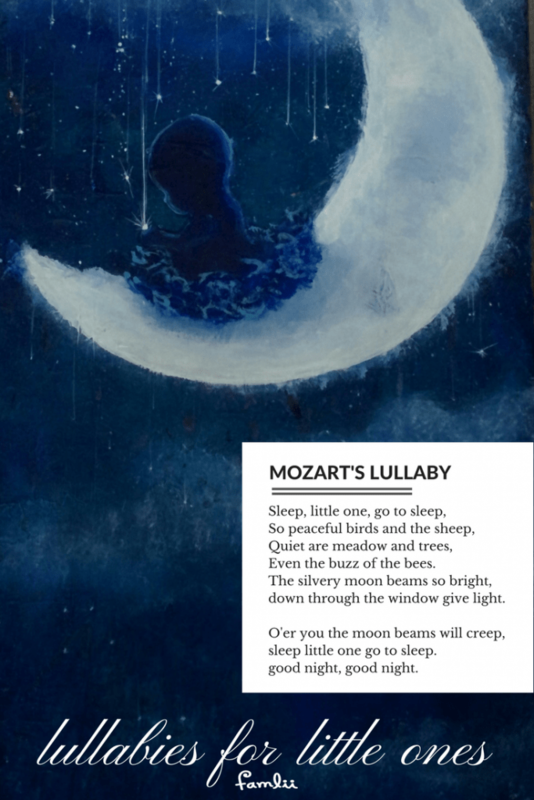 Click to download a pdf printable of Mozart Lullaby Lyrics. Mozart’s Lullaby–or “Wiegenlied” in German–is a short and simple melody often played on piano. The song was composed in the 18th century, and for many years was misattributed to Wolfgang Amadeus Mozart. It is now believed that the melody was composed by either Bernhard Flies or Johann Fleischmann. The German lyrics were originally written by Friedrich Wilhelm Gotter. There are numerous variations of English lyrics written. The lullaby is most popular in German, and is one of the most recognizable children’s melodies throughout the world. Nichts als Vergnügen und Ruh’! Not even a little bee buzzes anymore. The basement and kitchen are empty. There sounds a languishing sigh! What might this sigh be for? Who is happier than you? Nothing but pleasure and peace! That my little prince will just not cry. But what will the future bring?